Un nuevo estándar. El Galaxy S6 convencional ya convencía mucho en nuestro análisis. Samsung ahora ofrece un smartphone con un display de bordes redondeados con el Galaxy S6 Edge por primera vez, pero el precio adicional es muy caro. Nuestro análisis demostrará si el coste adicional merece la pena. Samsung Galaxy S6 vs Galaxy S6 Edge comparison review: What's the difference? With an almost identical design and spec sheet, the dual edge is the reason to buy the Galaxy S6 Edge over the regular S6. £70 extra isn't much but as it stands, the device doesn't do a whole lot more. So there you have it for this comprehensive look at the Galaxy S7 Edge vs Galaxy S6 Edge! While it is rare to see a huge jump in between iterations, this is certainly the case here. With a larger display, refined designed, mandatory upgrade in power, the return of key features like expandable storage and dust and water resistance, an improved camera, and most importantly, far better battery life, the Galaxy S7 Edge brings a lot more to the table, and is definitely a worthy upgrade. With the S7 Edge Samsung has improved on what was already a winning formula, proving that the brave design choices first seen in last year's flagship were just. On paper the 2016 model wins on nearly all counts, but the margins are minimal. Twelve months on and the S6 Edge can still compete with the best of them. The Galaxy S6 edge+ can be considered simply an S6 edge with a bigger screen, right? Well, our thorough comparison showed that this statement is true only to an extent. The larger, 5.7” display makes a world of difference when it comes to browsing, watching videos, and even perusing the extra features of the interactive side edges of the two flexible display phones. As for me personally, my next step is to perform (another) hard reset of my Galaxy S6 Edge in the hope it fixes the issues. If it does, great. If it doesn’t, I’ll need to take a long look at what my next smartphone is. The Galaxy Note 5 will definitely appeal – the lack of S Pen means I probably won’t go for the S6 Edge Plus – but I may opt for another brand. I guess we’ll see! So there you have it for this in-depth look at the LG G4 vs Samsung Galaxy S6 / S6 Edge camera! As you may have noticed throughout the video, the Galaxy S6 does tend feature very punchy colors, but the color reproduction with the LG G4 is far from bland, and the shots still look really nice. Bottom-line, users will likely be happy regardless of which smartphone camera they end up choosing. At the end of the day, the main story here is that, while both the G4 and the S6 offer a lot of features, they are as quick and smooth as they need to be. Both companies have received a lot of flak for stutter and lag on previous iterations of TouchWiz and LG UX, but complaints are few and far between this time around, and that is a wonderful development. Add it all up and you’ve got a premium smartphone which could have been insane. Imagine a symmetrically curved polycarbonate or even leather effect back, housing a 3500mAh battery, for example. It would have felt so much better in the hand, day to day. As it is, you’ve spent, say, £750 on a SIM free 4GB Galaxy S6 edge, and then you have to pay another £30 to get the official shell case that provides protection for the rear glass that you’ve just paid for and extra thickness for a more comfortable grip. Madness, I tell you, and I can suggest plenty of other options for that £780. Base model priced at Rs 62,000, the S6 Edge is undoubtedly an absurdly expensive phone. I personally don't buy any handset that costs more than Rs 30,000. However, if you have money to splurge, the S6 Edge gives you bragging rights of owning a unique phone with a futuristic screen. People will buy this handset over the normal S6. Not because of features associated with the screen, but simply because it looks fancy. Add it all up and you’ve got a premium smartphone which could have been insane. Imagine a symmetrically curved polycarbonate or even leather effect back, housing a 3500mAh battery, for example. It would have felt so much better in the hand, day to day. As it is, you’ve spent, say, £750 on a SIM free 4GB Galaxy S6 edge, and then you have to pay another £30 to get the official shell case that provides protection for the rear glass that you’ve just paid for and extra thickness for a more comfortable grip. Madness, I tell you, and I can suggest plenty of other options for that £780. Not least buying a leather backed LG G4, which has an even better camera, is far more flexible in terms of battery and storage, and which saves you well over £200. Samsung Galaxy S6 vs Galaxy S6 Edge comparison review: Is the edge screen worth paying extra for? Apart from the gorgeous bezel-free look of the S6 Edge compared to the regular model, we're not convinced it's worth the extra money. There are only a handful of functions and while this may change over time with software updates it's an unknown and no guarantee. Despite its largely gimmicky curved screen and so-so battery life, there’s a lot to like about the Samsung Galaxy S6 Edge. Its camera is incredibly impressive, while performance, responsiveness and screen quality are all very good. 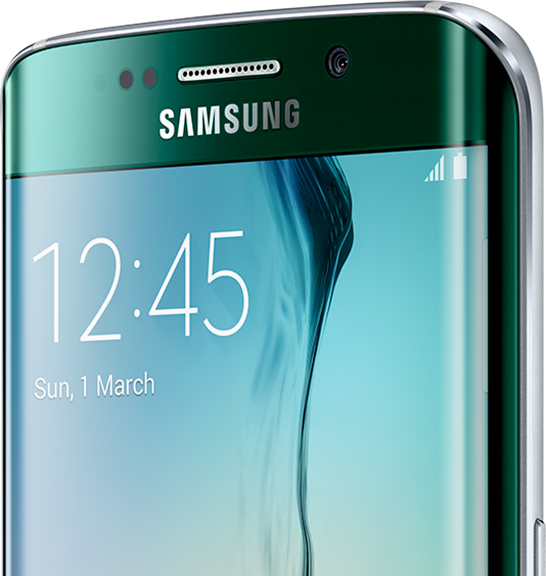 However, you get all these benefits in the curve-less and therefore cheaper Galaxy S6. If you need to buy a high-end Android phone, the standard S6 is far better value. But the crucial issue with the S6 Edge is that Samsung still hasn’t managed to justify the inclusion of the Edge, and why anyone should pay a $100-200 premium. The software features are somewhat interesting, but I simply didn’t use them at all during my time with the device, and once again most of them could have been implemented on a regular flat display. Unless you want a device with a subjectively “cool” feature, there is no reason to buy the Edge over the regular S6. Conversely, we’ll applaud the LG G4 for being a worthy competitor too. If savings is your thing, the $200 on-contract cost is deserving for a high caliber phone like this one – though, you’ll be getting a less premium looking phone with its plastic casing. Regardless of that, LG really impresses us with the G4’s amazing low lighting performance with its camera – and its vibrant IPS Quantum Display. Like we said people, there’s no shame going with one of the phone over the other. It just mainly comes down to what design you find more attractive. If Samsung’s goal was to take on the iPhone 6, then this is the phone to pit against it. The Galaxy S6 Edge outperforms the Apple iPhone 6 in both performance and camera departments, which is something no Android phone can boast. If you’re looking for a flagship smartphone to buy, the Galaxy S6 Edge should definitely fit the bill. It does have some downsides, namely its extortionate price and the arguable frippery of its curved screen, but if you're after a phone that will make others green with envy, there's nothing else that even comes close. Despite its price, it's the smartphone we really want in our pocket and for that it gets a Best Buy award. So there you have it – a closer look at the Samsung Galaxy S6 vs Galaxy S6 Edge! Both of these phones show that Samsung has jumped forward in the flagship game. The Galaxy S6 and the S6 Edge will be the phones to beat this year, with their speed and stellar camera experience setting the bar very high for the competition. When it comes to picking one over the other though, it is really a matter of aesthetics and handling, both of which benefits that are actually felt. All things considered, the question that you have to answer is whether you are willing to pay even more for a phone that basically just looks and feels different, without bringing a whole lot else to the table. The Galaxy S6 Edge is a more elegant version of the Galaxy S6, a device that’s become one of the most handsome phones on the market in its own right. Together, the two phones represent a massive aesthetic upgrade over every Galaxy phone that’s come before them. While the utility of a curved screen is still up in the air, the bends on the S6 Edge’s display don’t come off as a gimmick when you’re holding them. They’re implemented in a way that feels natural, turning the device into a genuine luxury item in the process. 92% Samsung Galaxy S6 Edge review: worth an extra $100? The Galaxy S6 Edge sure looks pretty, but its hardware benefits mostly fall flat. Unless you’re hell bent on being the coolest kid on the block with its cutting edge design, that extra $100 would be better spent on increasing the internal storage on the regular Galaxy S6. There's just no other way to say it--The Galaxy S6 and S6 Edge are beasts. We were duly impressed with how Qualcomm's octa-core Snapdragon 810 performed in the HTC One M9, and Samsung's own Exynos octa-core power plant is equally impressive in its own way. The S6 duo chewed through our usual suite of benchmarks, and in real-world use, we found it to be noticably fast. If you've already read our regular Galaxy S6 and S6 edge reviews, you may be wondering what this is doing here. Well, it's popcorn time today as we've prepared the first ever video version of our trademark reviews. One thing's for sure - you've never seen us do a phone review like this before. If you're all about one, you'd better check out the other. 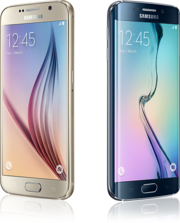 Both the Samsung Galaxy S6 and the Samsung Galaxy S6 Edge are available in stores and online right this minute from Verizon and a number of carriers/outlets across the United States and the world. That’s why you buy this phone. It catches the eye better than almost any other handheld out there without being too ostentatious about it, and it oozes the same feeling of quality construction as its non-edgy brother. You probably won’t get much mileage out of its fancy screen features, and it’s got room for improvement in software and battery life … but it’s easily one of the most beautiful smartphones of the year thus far, with one of the best Android cameras ever. The Galaxy S6 edge is a pricey but solid buy if you want a flagship phone with the looks to match … and you don’t mind being a wall-hugger. The first most critical aspect of the Galaxy S6 and S6 edge, more than any other, is the change in design. Samsung has clearly identified a problem in their previously iterative approach, and they reacted appropriately by completely changing the materials that they use in their phones, even if the overall industrial design clearly retains a link to past Galaxy phone designs. Not everyone wants the same phone, and while we can customise the wallpaper, change the ringtone, add a case, throw some stickers on, and do everything possible to the outside to make it a little bit more you, sometimes, that’s just not enough. Samsung’s Galaxy S6 Edge seems skewed to people who find themselves in that category, where they want the same phone as everyone else, and yet they also don’t, with something crafted with the same care and ingenuity, but with a little more spectacle. 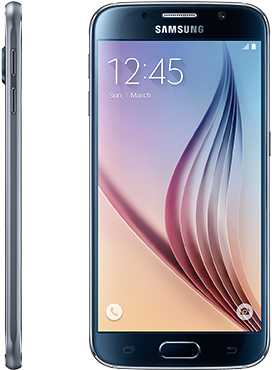 Featuring twin Edge displays and all the perks of Samsung's Galaxy S6, the Galaxy S6 Edge is an innovative, powerhouse Android smartphone. However, a lack of decent applications and services for the custom screens means that it fails to fully deliver on its promise. That said, the vast majority of those who buy this phone won't care about such things. They'll buy it either because owning something so new and different gives them a thrill, or because it has a unique way of making people do a double-take - the "wow factor", as it's called. No other phone, except perhaps the Galaxy Note Edge and the upcoming LG G Flex2 can offer that. From a cost standpoint, all fingers point to the Sony Xperia Z3, which, at this point, can be grabbed at a fantastic discount if you search in the right places. To be fair, though, the lower cost attached to the Xperia Z3 now makes perfect sense, as the Xperia Z3 has been on the market for some time. Conversely, the Galaxy S6 edge has just recently become available, so it’s going to cost a pretty amount to pick up at the moment. Whichever phone you end up choosing, just know that it’s going to cost you quite a handful to buy – whether it’s outright or with a contract. Luckily, the pricing structure for the Nexus 6 is pretty uniform whichever outlet you end up going with. So if we’re to look at it from an outright level, you’ll need to fork over a beastly $699.99 to snag the Google Nexus 6. In contrast, depending on where you go, the Galaxy S6 edge will fetch you roughly between $699.99 and $814.99. While the competition release subtle reworks of their flagship devices in 2015, Samsung has really gone out on a limb with the Galaxy S6 edge. It's the best looking, most radical phone of the year. 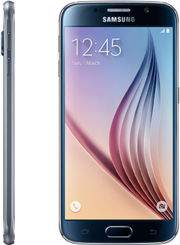 With a snappy software experience, octa-core Exynos processor that eats apps for breakfast, considerably improved fingerprint sign-in solution, quality Quad HD screen and a decent camera, the Galaxy S6 edge is the true flagship experience. With a much nicer design, a smaller but superior display, faster hardware, a better camera, and added goodies such as quick charging, the Samsung Galaxy S6 edge is a genuine superphone that's a worthy upgrade over the LG G3. However, the LG G3 remains more attractive from a price-oriented perspective. Being a year old and nicely discounted, it is one of the cheapest Quad-HD resolution smartphones you can buy new and unlocked. It's also a very nice smartphone overall, and while its looks and performance, admittedly, can't hold a candle to Samsung's latest and greatest, this doesn't make it anything less than a bargain! So, do you have a better idea now of which smartphone is a better choice? Well, if you don't want to shed a hundred dollars over the GS6's price for the S6 edge, that's more than fine, but you will be missing out on a louder speaker, and an innovative design. Then again, you might end up not liking the way the curved sides feel in the hand, or you might not be able to get used to the subtly different way movies and websites look on the curved screen. 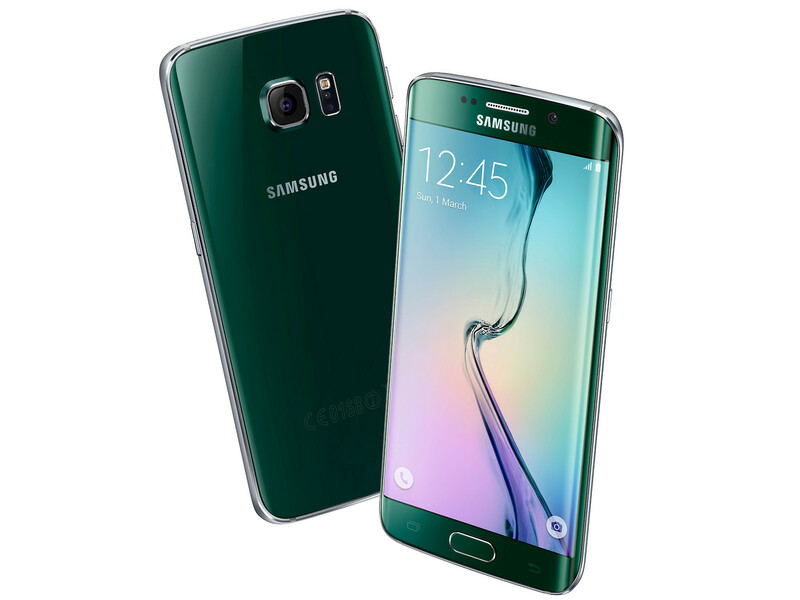 If you're looking to get the most practical bang for your buck, then the standard Galaxy S6 is the one to buy. 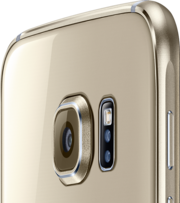 But if you're drawn to bold and beautiful designs, then the Galaxy S6 edge is going to do its best to seduce you, as it perches on the store shelf next to its flat-screened sibling. It doesn't have much (if any) more substance, but some of us don't mind paying a little extra for something that looks a little sharper, feels a little smoother. Certainly there are some lingering rough edges, and the cleanly executed construction arrives under the cloud of slightly derivative design, but there is no perfection in the smartphone world, only the chasing of it. On that basis, though the Galaxy S6 edge is a stunning example of technological proficiency - and its painful under-utilization - it’s the Galaxy S6 which provides ample retort to Apple’s iPhone, and which is certainly the best Android phone around today. I honestly think the Galaxy S6 Edge is seriously cool. It does all the fantastic stuff the regular flat Galaxy S6 does, and it gives me bragging rights when I’m out with my iPhone-loving friends. It’s something different from the plethora of plain phones in the Android world. It’s nice to hold and the curved part of the screen doesn’t distract too much from the rest of the Galaxy S6 experience. Samsung Galaxy S6 edge review – is this the most innovative smartphone in the world? Galaxy S6 edge isn’t very different from the original S6, but that shouldn’t be considered as a negative. Both phones are great and their features are almost identical, but if you really want to stand out and don’t mind the attention and curiosity in the cafe, S6 edge is definitely a nice choice. In addition, you’ll get the awesome experience of being immeresed in your phone display, behind which are placed other state of the art components – the 14nm Exynos System-on-a-Chip, 16MP f/1.9 camera, UFS 2.0 storage and LPDDR4 RAM. The Galaxy Note Edge comes close, though asymmetry and beauty don't always mix - a curve on both sides definitely looks better. Outside the night clock, the added software features around the curve of the Galaxy S6 edge are a mixed bags, borderline gimmicky, but perhaps third-party devs will come up with new ideas. In every other respect, the Galaxy S6 edge was as good as its regular sibling. The shares some unique features like the only 14nm chipset in mass production, which enabled great performance and good battery life. That's on a smaller battery and feeding a sharper, brighter display - one of the best in its class. Samsung has a lot riding on its 2015 flagship, and this time it's put its best foot forward. With its super-fast, homebrew processor, a pair of great cameras and a surprisingly clean version of TouchWiz, the S6 is the finest Galaxy Samsung has ever made. Now, if only it were waterproof. The Samsung Galaxy S6 Edge is an excellent smartphone and perfect for those with money to burn and the desire to turn heads wherever they go. 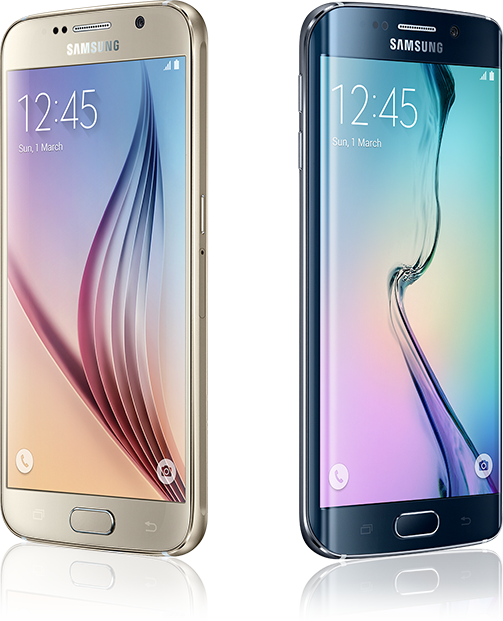 However, aside from the beautiful design, the S6 Edge doesn't provide anything extra over the Galaxy S6 – which is £100 cheaper. Those of us who are less flush will know to look for the best value. If you've ever struggled picking between two great flagships in the past, you'll likely know what we ourselves understand all too well – when you're looking to make the most out of your hard-earned cash, choosing can be difficult. Fortunately, with the Samsung Galaxy S6 edge and the HTC One M9, things are clear-cut enough for you to simply have to identify what's important to you personally – the answer will come to you by itself. The advantage of the S6 Edge over the standard S6 isn't about any functionality. It's just that it's pretty. You wouldn't be the first person to spend $100 extra for something pretty. Otherwise, this is the best Android-powered phone on the market, just in a slightly different shape. While I more highly recommend the plain S6—save your $100 for something else—I won't be offended if you go for this one instead. After all, it is very, very pretty. So, the Samsung Galaxy S6 edge has slightly longer battery life, and a few extra features over the standard S6. It’s a touch easier to hold, too, and there’s no doubt it will spark more than its fair share of covetous glances when you take it out of your pocket. Yet we must admit that the Galaxy S6 edge is better than the Note 4 in many ways, and we're not talking only about the outstanding design and build quality it draws so much attention with. Samsung's curvy flagship phone shines with its blazing hardware performance and with the responsiveness of its software, which is enough for us to recommend it over “older” Samsung handsets. Not that the Galaxy Note 4 is a slow phone – its Snapdragon 805 can handle anything thrown at it – but the Galaxy S6 edge is more refined of a smartphone with its superior hardware configuration, and that's a plus. The Samsung Galaxy S6 Edge is one of those phones that sets a line in the sand for smartphones. It makes curved edges viable, offering them in a phone that doesn't look bonkers just for the sake of it. It won't sell anywhere near as well as the standard S6, simply because it's very expensive and users are always reticent to try something new when there's no proven need for it, and rightly so. It’s easy to dismiss the Galaxy S6 Edge as a folly, but you shouldn’t. It has one of the best cameras on a phone ever, it looks incredible and its minor shortcomings are forgivable. It’s not a perfect 10 – better battery life and ergonomics would have made it that – but it’s damn close. This is a great phone in just about every respect. And as part of the bargain you get something that feels better than any phone Samsung has made before. The high price keeps it out of reach of many, but rarely do we so want to get on-board with something that is likely to be seen by so many as a bit of a gimmick. The Samsung Galaxy S6 and Galaxy S6 Edge showed up on Re/code’s doorstep just yesterday, and we’ll be spending the next few days getting to know Samsung’s latest flagship smartphones — our likes, dislikes, hopes for the future (err, I mean … Samsung’s future). But in the meantime, we wanted to give you a glimpse of what to expect when the handsets arrive in the U.S. on April 10. 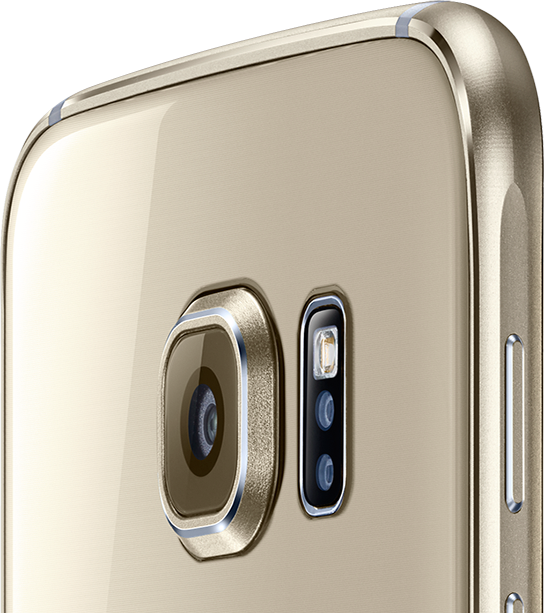 The Samsung Galaxy S6 Edge is the ultimate money-no-object phone. It looks good, feels good, has more power than a small nuclear power station and more features than most people will ever use. Really, it's a terrific phone. Its curvy USP may be more about style than anything else, but that doesn't mean it's not useful. And come on, it's pretty damn cool. Although exact pricing will be revealed through carrier announcement here in the US, there’s no denying that it’ll more than likely receive a cost that’s higher than its sibling. If you have the money, we would vouch heavily to go with this one. Being an attractive looking, solidly constructed smartphone gets it to a higher level, especially when it’s accompanied with the same impeccable performance that already graces its sibling in the Galaxy S6. Samsung Galaxy S6 Edge vs Galaxy Note Edge comparison review: Which edge is best? 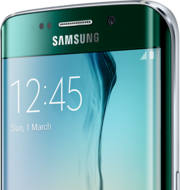 Although the Galaxy S6 Edge has some better hardware than the Note Edge and a nicer design we don't think it's worth the large sum of money extra - perhaps when the price drops. Unless you're left handed, the Galaxy Note Edge does the feature better. With the S6 Edge Samsung is back in full force. While this handset may have the same specs, bar the curved screen, of the regular S6, this is the phone that everybody's going to want. It's beautifully made, the colour options all look fantastic and it's a handset like no other. Memories of a plastic build will be vanquished and Samsung now has the best-looking and best-made Android phone, and it looks to have completely overtaken the HTC One m9; even iPhone 6 owners will be sorely tempted by this handset. We'll bring you our full in-depth review as soon as review samples are available. Once again, the videos give off that huge difference in white balance, but the resulting imagery may leave you debating realistic colors against almost HDR-like image brightness balancing. As mentioned, don’t let this be the end of your research if you are comparing these two devices for purchase. We have our own Samsung Galaxy S6 (Edge) vs Apple iPhone 6 (Plus) camera shootouts in the works. Stay tuned. Every year I’m persuaded by the combination of beauty and performance that HTC offers up to side with their latest handset over Samsung’s top smartphone of the moment, but for the first time I’ve found myself on the other side of that divide. Whilst we still haven’t had a chance to put the One M9 under the microscope, everything the Samsung Galaxy S6 Edge offers has convinced me that it is the smartphone to beat in 2015 and I want one, badly. Both new Samsung handsets look highly impressive on first viewing, but it’s the S6 Edge that steals the show. Its unique look, coupled with a great attention to detail outstrips that of the HTC One M9, which itself is a stunner. Those curved glass edges will have smartphone aficionados everywhere itching to get their hands on one. Our first impressions of the Samsung Galaxy S6 and Galaxy S6 edge after seeing them in person and playing with them for a while paint the picture of a trend-setting 2015 flagship smartphone. The company has finally achieved the premium feel to match the top end specs, and the Galaxy S6 edge in particular is quite the looker. Undoubtedly, Samsung is ahead of the curve (no, this is not a pun) in the smartphone technology innovation front. Its closest competition comes in the form of the LG G Flex2. Although, the Galaxy S6 Edge and the G Flex 2 are unique in their own respect. We are more excited by the prospects of the Galaxy S6 Edge. That said, the Galaxy S6 also has a huge role to play for Samsung if the company intends to win back its loyal customers and make new ones as well. All said and done, this year Samsung's flagship game looks stronger than ever. Let’s get right down to it – we’re bloody excited about the S6 Edge. As a response to the criticisms levelled at the S5 for not feeling premium enough, it’s an out-of-the-park smasher. We probably won’t miss the removable battery and we’ll happily ride the wave of people saying that its design is derivative of other well-known smartphones. The big question at this stage is what the price difference between this and the non-edgy S6 will be. Samsung Galaxy S6 edge: What can that screen edge actually do? This could be just the tip of the iceberg for the edge with potential for more apps that take advantage of the edge. Since it's touch sensitive and works with the screen locked we're excited to see what comes in the future. Naturally, it is impossible to really judge these phone by their specs or by several minutes of handling them in controlled circumstances. We hope to have full reviews of them when they ship, but there's no doubt that the race is on to try to offer smartphone enthusiasts high-end devices that not only offer improved performance, photography, video and displays, but that look really good. Samsung Galaxy S6 and Galaxy S6 edge are just what the doctor ordered for the Korean manufacturer. The duo combine the Samsung's best efforts to date in both design and hardware. We reckon that the duo will start a massive upgrade cycle for Samsung and rightfully so. The new products carry an aura of desirability at first sight, which is deservedly impressive. 97% Samsung Galaxy S6 Edge im Test: Was taugt das Seitendisplay? Solución gráfica móvil para tablets y smartphones, que puede ser encontrada en SoCs ARM como el Exynos 7420 Octa. SoC Exynos 7 con soporte para 64-bits con cuatro núcleos Cortex-A57, cuatro núcleos Cortex-A53 y una GPU ARM Mali-T760 MP8. Producido en 14 nm. 5.1": Esta pantalla es bastante grande para un smartphone, pero es usada a menudo en smartphones. Grandes tamaños de pantalla permiten resoluciones más altas. Por tanto, los detalles como letras son más grandes. Por otro lado, el consumo de energía es más bajo con diagonales de pantalla más pequeñas y los aparatos son más pequeños, más livianos y más económicos. 0.132 kg: Solo algunos smartphones son más livianos que eso. 89.05%: No existen muchos modelos que sean evaluados mejor. La mayoría de las evaluaciones obtienen resultados que son un poco peores.